Explore enchanting Tuscany on this 7-day Florence and Tuscany tour from Milan! Tuscany, famous for a wealth of art, history, striking landscapes and outstanding produce, really does have the best of all worlds! Discover the beauties of Tuscany, one of most enchanting regions of Italy, with our 6-day Florence and Tuscany Tour from Milan. This great itinerary will allow you to experience the top Tuscan art and architectural marvels, in Florence and in the beautiful Pisa and Lucca, the Tuscan food and wine, the romanticism of a cruise on the Arno river, and the shopping in Florence, one of the most stylish cities in Italy, and in Barberino Designer Outlet, one of the top outlets in Italy. 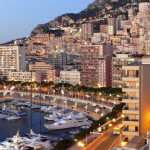 Booking: (by money transfer) 30% in advance, 40% 30 days before departure, the balance 10 days before arrive in Italy. 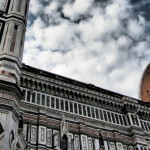 Ready to enjoy the Florence and Tuscany Tour from Milan? Welcome to Italy’s commercial and financial hub, and to a city rich of history, art and culture: Milan. Enjoy your free time in Milan in the afternoon and evening. And if you want, watch Milan’s nightlife scene come alive. Enjoy breakfast and then enjoy a sightseeing tour of Milan (included in the tour). Our driver will show you the best districts of Milan, and some of the top attractions of Milan, such as the Cathedral in Piazza del Duomo (one of Europe’s most striking examples of Gothic architecture), La Scala opera house (the world’s most famous opera house) and Sforza Castle (Milan’s Renaissance pride and joy). After the tour, you will admire Leonardo da Vinci’s masterpiece, The Last Supper, in the church of Santa Maria delle Grazie, UNESCO World Heritage site. You will bypass the long queues for The Last Supper thanks to the special skip-the-line treatment included in our tour, providing you priority access to the famous mural painting. The streets and piazzas of Florence show the ideas of the Renaissance, the lives of many famous artists, the Medici family who showered Florence with countless masterpieces. In the morning, our walking guided tour will bring you to the top landmarks in Florence, but also will allow you to discover enchanting back-streets and alleys paved with the original stones from ancient times, and lesser known attractions that are proof of the complex and rich history of the city. After the tour, you will visit the Accademia Gallery, among the most famous museums in the world for its extraordinary collections of paintings and ancient statues. Our Florence and Tuscany Tour from Milan includes Skip The Lines tickets to the Accademia Gallery, so you won’t have to waste time queuing for hours to admire its treasures! In the afternoon, explore Florence at your leisure. Florence is a relatively small city, with virtually all its top sights clustered in just a few square kilometers. You will have time to visit some of the other famous museums in Florence such as the Uffizi Gallery hosting Renaissance trasures by Giotto, Michelangelo, Leonardo da Vinci, Caravaggio and Raphael, or San Marco Museum, Palazzo Pitti, Stibbert Museum, Bargello Museum, Davanzati Palace Museum, Palazzo Vecchio, Palatina Gallery, Argenti Museum, Gallery of Modern Art, Medici Chapels etc…Florence is really a paradise for art lovers. If you love food, Florence offers endless opportunities to taste one of the most appreciated traditional cuisines of Italy and enjoy fine food and wine in delicious lunches, snacks or aperitivi. Pisa is a lovely Tuscany town with a great historic center, full of Renaissance and medieval buildings. The top attraction in Pisa is the Campo Santo and Piazza dei Miracoli. In this amazing square you can admire some of the most beautiful and important examples of Tuscan Romanesque architecture: the Cathedral, the Baptistery and the Leaning Tower. The Leaning Tower, UNESCO World Heritage Site, has captivated crowds for centuries with its distinctive tilt. The tower, which took nearly 200 years to construct, started leaning even before it was finished and still nobody knows for sure why. At the end of the 294-step staircase, you will be offered fantastic panoramic views over Pisa. After Pisa, you will visit Lucca, one of Tuscany’s lesser-known gems. Enjoy a walking tour of the city, that shows an enchanting display of Renaissance architecture and Etruscan ruins. You will admire Lucca’s historical centre, now a pedestrian area enclosed by the imposing tree-lined Renaissance walls, the beautiful Piazza dell’Anfiteatro, Guinigi Tower, Lucca Cathedral. Taste a buccellato, Lucca’s ring-shaped cake, and some of the great local wines. On day 5 of our Florence and Tuscany tour, you will experience the magic atmosphere and quiet of a special cruise along the Arno River. Admire the Ponte Vecchio, Florence’s famous bridge, and hidden views of the beautiful buildings that frame the riverside, while passing beautiful Florence attractions like the Corsini Palace with its stunning Baroque architecture and the Santa Trinita Bridge. On day 6, explore the stylish shopping haven of Barberino Designer Outlet, a nice city near Florence. Built to look like a Renaissance-era Tuscan village, the pretty outlet boasts more than 100 shops featuring big-name brands like Dolce and Gabbana, Guess, Valentino, Calvin Klein, Levi Strauss, Burberry and Boss. Save between 30 and 70% on acclaimed labels, while browsing the spacious shopping mall. When you are tired of shopping, take a break by visiting one of the outlet’s restaurants or cafés. With five different eateries to choose from, including a Lindt chocolate café, you won’t be disappointed!